Products to Add Moisture and Shine - Website of seventyfourhairandbeauty1! We will be looking oils for all hair types and how to use them. All hair needs added moisture even those who are prone to greasy roots. Some oils are for dry hair to smooth and add shine and some are for wet hair to add moisture before drying. Aussie Oil 3 Minute Miracle is a must for all ladies. It can be applied to wet and dry hair adding moisture whilst helping to repair the hair. It is a light weight oil and unlike most oils you can apply as much as you like without causing a greasy look. I recommend this to clients who have dry, brittle hair, particularly those with damage caused by over processing and excessive heat. When my own hair was over processed (typical hairdresser) I used this alongside Olaplex No3 to repair my hair, now my hair is in much better condition but I continue to use this product to ensure I keep my hair looking healthy. As well as applying to the hair before drying you can apply to dry hair to smooth and add shine to your completed style. This product is also great for use on extensions as they can dry out just like your natural hair. It smells delicious and is 1 of the first things people say when I use it on them, it is also affordable, at £10 a bottle from the supermarket or £12 for 2 at Costco is a bargain. L’Oreal Mythic Oil has a beautiful, luxurious smell and the bottle screams glam. I love this product for my clients with thick hair, including those with extensions. In the salon I would use this on those clients with fine hair but only through the ends. This product would last a very long time as you wouldn’t require a massive amount, this product goes along way. If you like this product I would recommend the mythic oil smoothing cream to work alongside it. You can use this product on both wet and dry hair. The Myhtic oil is our more expensive product at £14.95 but it is a luxury item and the smell alone makes it worth it. 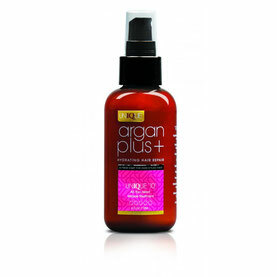 Argan plus Unique 10 is a spray oil that should be used on wet hair before styling. If you are prone to knotty hair after washing I would recommend you pick this one. You spray a few pumps of this on towel dried hair then add your styling products before drying. It smells delicious and is excellent on extensions. They also do a duo pack which comes with a serum for use on dry hair which we sell for £15.95 so you are getting a detangler and moisturiser as well as a smoothing and shine serum. 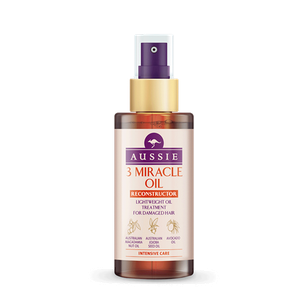 · Aussie Oil 3 Minute Miracle is great for all hair types; fine, think, extensions, long or short. For repairing, moisture and shine. 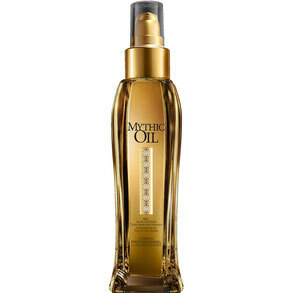 · L’Oreal Mythic Oil is great on thick hair including extensions. Can be used on fine hair but more sparingly. Beautiful smell and great for shine. · Argan Plus Unique 10 is for all hair types particularly for knotty hair after washing. A great repairing product. A pre styling product.